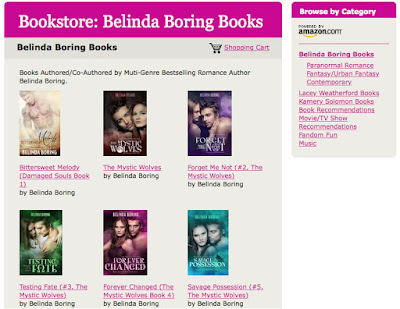 Belinda Boring Author: BRAND NEW: Belinda Boring Bookstore! 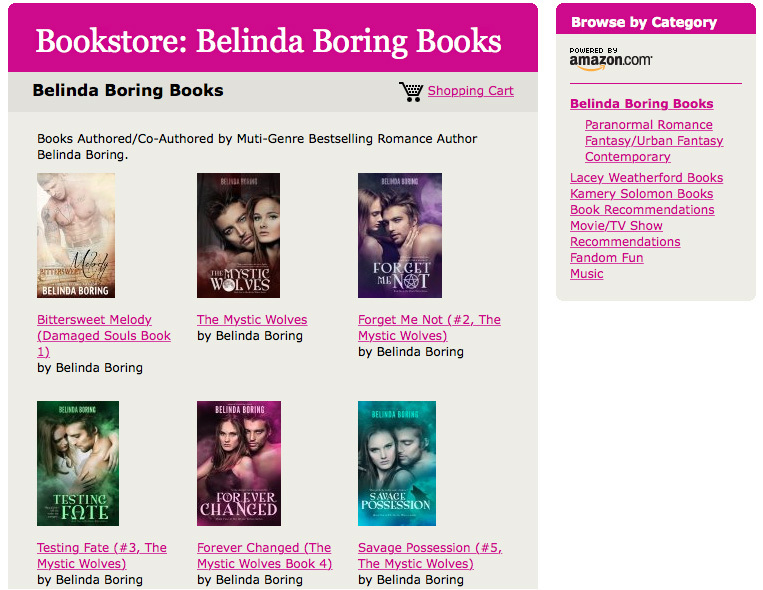 BRAND NEW: Belinda Boring Bookstore! 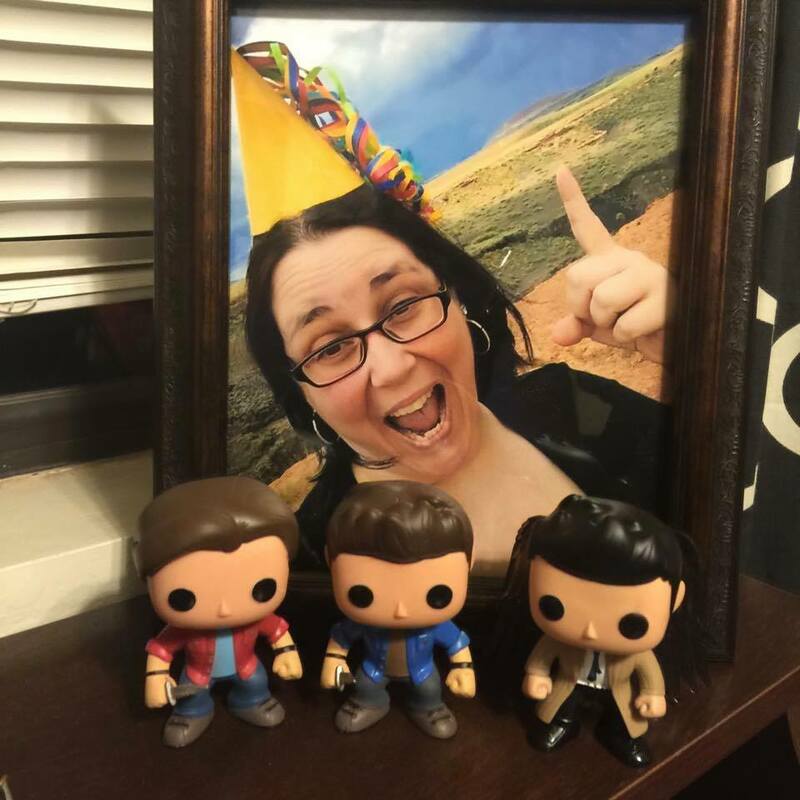 I'm so excited to share that I've added a new feature to my blog - a place where you can one-click not only the books I've written, but other stories by my favorite authors as well as movies, TV shows, music, and fandom items!! This happens through Amazon and it's another way to spread my love for all things SWOON and GEEK with everyone! Click on the link below to check it out OR look to the right side of this page and under the "Explore My Site!" option, you'll see AMAZON BOOKSTORE. Just making it easier for everyone to feed their addictions and passions.